Hello everyone! 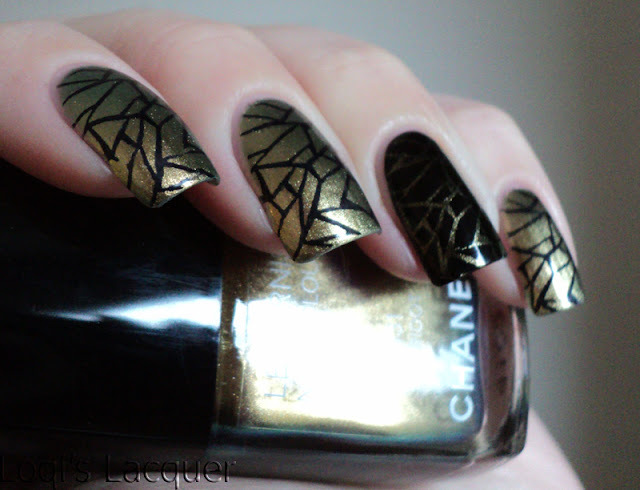 I've got another stamping manicure for you this week. 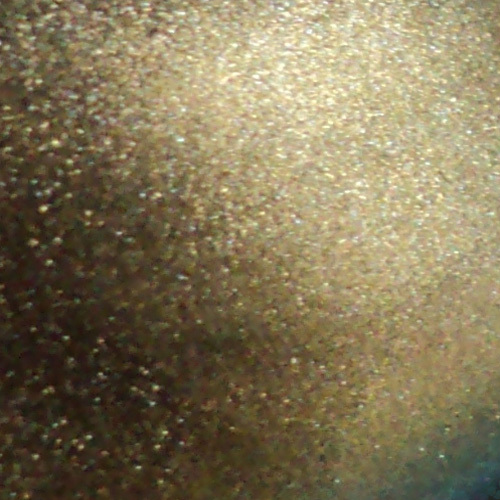 Now, I am not a big fan of gold polishes. I've got only one bottle (apart from the one I'm showing you today), for costume purposes, and I used that one only once. 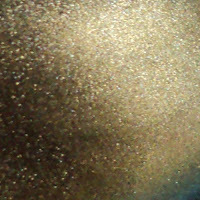 Gold just never catches my eye. But there is one exception: Chanel Péridot. I adore this polish. It's one of the few polishes I own which actually shows it has been used quite a few times. I guess it's the green duochrome that makes me love this, I don't know, but I might have to get me a backup bottle! For this manicure I painted one nail black and stamped the 'broken tile' like pattern from Bundle Monster plate 208. Péridot is actually a very good polish for stamping, and the pretty green stays visible. I am really loving these new BM plates, they have got a lot of nice patterns I'm itching to use! I hope you guys like this, and see you next week! You and your mad stamping skills <3. Love this manicure, very pretty, I daren;t use my Peridot too much so expensive i want it to last! 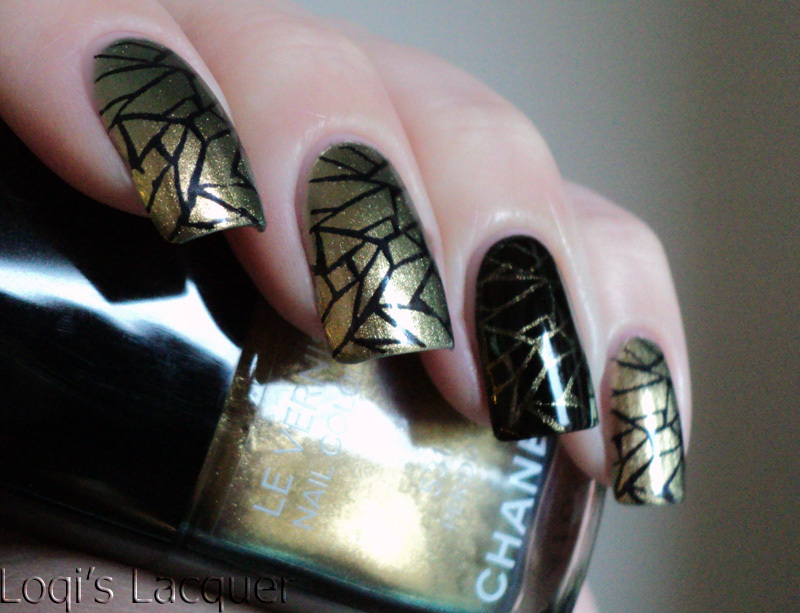 I love, love, love this manicure!!! It's so pretty! Ooh this is so sophisticated! Ooooo! This is so pretty and fun! It reminds me of an up close butterfly wing!